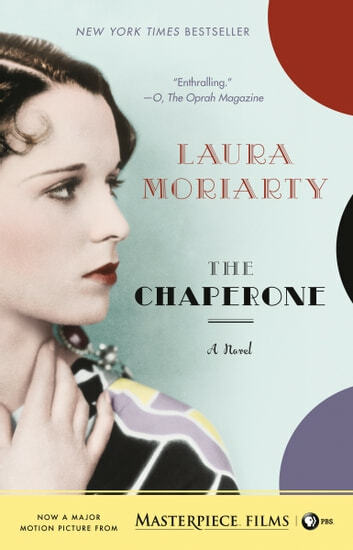 **Soon to be a feature film from the creators of *Downton Abbey *starring Elizabeth McGovern, The Chaperone is a New York Times-bestselling novel about the woman who chaperoned an irreverent Louise Brooks to New York City in the 1920s and the summer that would change them both. Drawing on the rich history of the 1920s, ’30s, and beyond—from the orphan trains to Prohibition, flappers, and the onset of the Great Depression to the burgeoning movement for equal rights and new opportunities for women—Laura Moriarty’s The Chaperone illustrates how rapidly everything, from fashion and hemlines to values and attitudes, was changing at this time and what a vast difference it all made for Louise Brooks, Cora Carlisle, and others like them. I quite enojyed this book. It took a few unexpected turns, and I found myself really caring about the character of Cora. It was her story more than that of Louise Brooks that I got wrapped up in. If you love period novels, it's lush too. I would definitely recommend this book, I plan on giving it as a gift. A very thoughtful and entertaining book. It is filled with wonderful twists and turns all of which create the wonderful character, Cora. Well written historical fiction. I became invested in Cora's story and grew to care about her. Enjoyed the factual content about the orphan trains , and the lives of women. I really enjoyed this clever and original story. I enjoyed Cora's life story and the way it incorporated so many historical facts and feelings that pertained to women of those times.